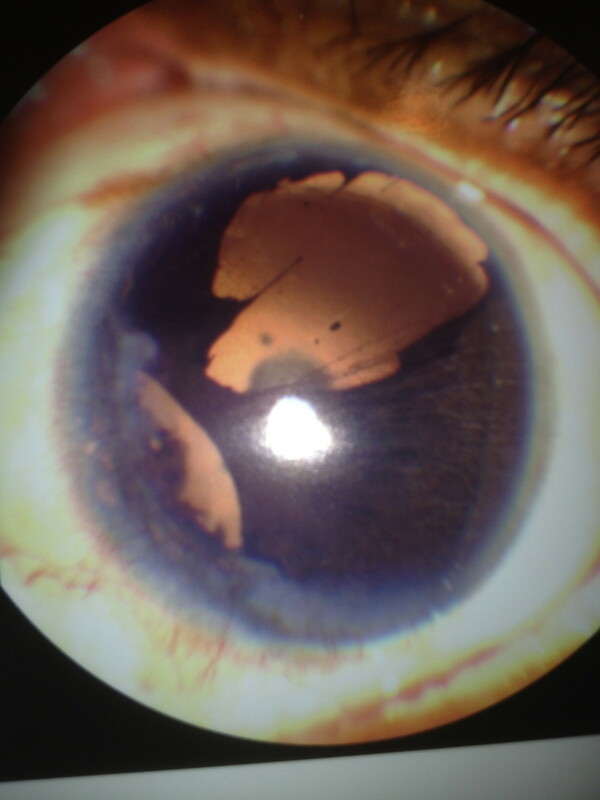 67 year old presented with anterior segment as shown in the attached photo. VA 20/100; IOP 42 on 2 topical drops. What do you think is wrong with her cornea? The corneal endothelial cells are abnormal and spread on to the iris across the TM . This membrane continues to grow on iris, can contract with time, causing iris atrophy and holes in the iris, broad PAS formation and angle closure leading to elevated IOP. The abnormal corneal endothelial cells can decompsate with time leading to corneal edema. Spectrum with involvement of cornea, angle and iris.